Speedy filly Triple Charged broke through for her first victory in the Happy Birthday Peter Garlick Maiden Handicap (950m) at Cowra on Saturday 26 April. Trained by talented Canberra-based horseman Nick Olive, the three-year-old daughter of Charge Forward was slowly away from the inside alley however soon mustered speed at the 550 metre mark to keep in touch with the leaders. Triple Charged has had eight career starts, for a win, one second and a third with just under $17,000 in prize money. 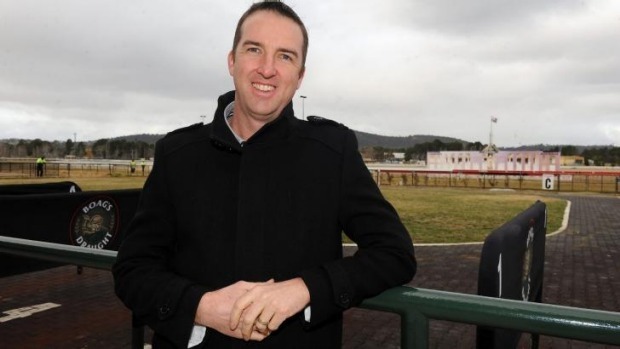 Trainer Nick Olive was on hand to see the win and was extremely pleased with what he saw. Jockey Brendan Ward was just as impressed but knew he had some work cut out due to the slow start. “She jumped away slowly but soon mustered speed and sat in behind until they started to weaken in the last 100. “She finished off strongly and it was a good win,” said Ward. Should she continue to progress well this week, Triple Charged may back up this Sunday in a Benchmark 55 Handicap over 900m at the Sapphire Coast.